The recent eruptions of the Eyjafjallajökull volcano in Iceland were a stark reminder of nature’s ability to bring human activity to an abrupt standstill. The cloud of smoke that drifted over Western Europe made aviation travel untenable, returning European skies to a quietude not felt for decades. 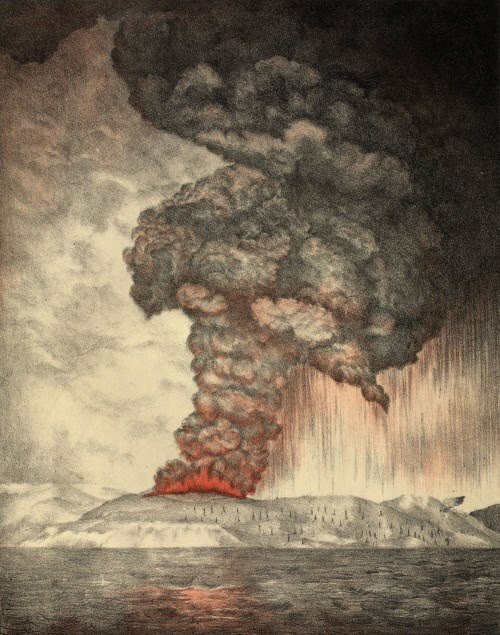 Yet, while the effects of the eruption were frustrating for would-be travellers, they paled in comparison to those of other volcanic explosions throughout history. 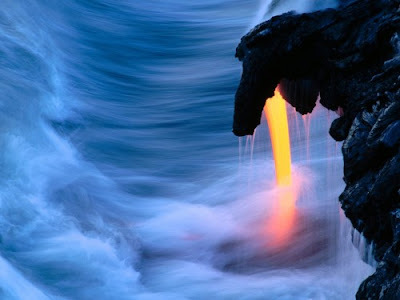 In Hawaiian mythology volcanoes are personified by the volatile, capricious goddess, Pele, or ‘she who shapes the sacred land’: here are some of the biggest volcanic eruptions that have made their mark on earth. 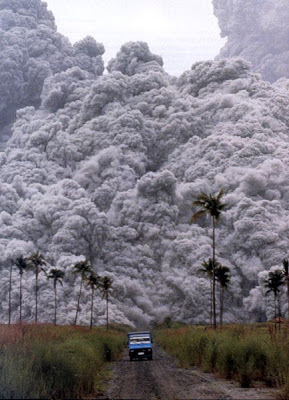 These magnificent ash formations are the legacy of perhaps the largest explosive eruption in the earth’s history. Some 28 million years ago the Colorado eruption disgorged more that 1,200 cubic miles of lava – enough to fill the basin of Lake Michigan. 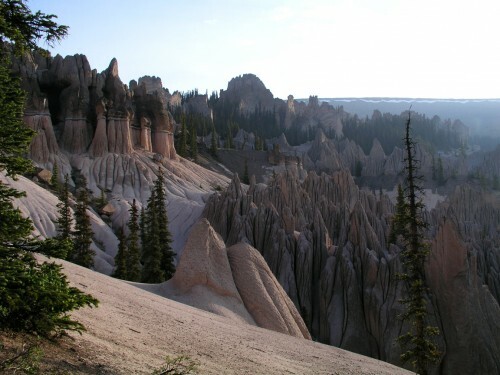 The resultant, oblong-shaped caldera, located in Colorado’s San Juan Mountains, measures around 22 by 47 miles. Though Mount Vesuvius has erupted many times, it is most famous for its eruption in AD 79 that covered the Roman cities, Pompeii and Herculaneum. Then, it killed up 25,000 people; and with 3 million people living near it today, it is regarded as one of the most dangerous volcanoes on the planet. 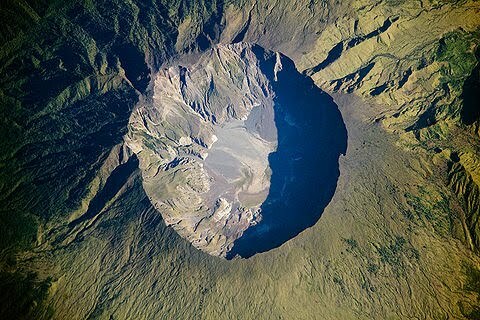 Although its last eruption was in 1944, a few landslides in the crater have raised false alarms since. 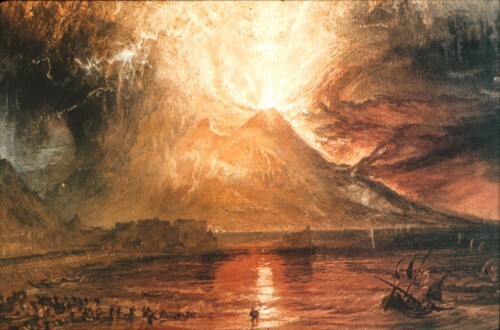 J.M.W Turner, the English Romantic landscape painter known as the ’painter of light’, may owe some of his fame to the Tambora eruption in 1815. The Indonesian explosion affected the global climate, robbing North America and Europe of a summer in 1816, but creating some stunning sunsets. The outburst, which rated 7 on the Volcanic Explosivity Index (VEI), killed at least 71,000 people, including those affected by the resulting famine. 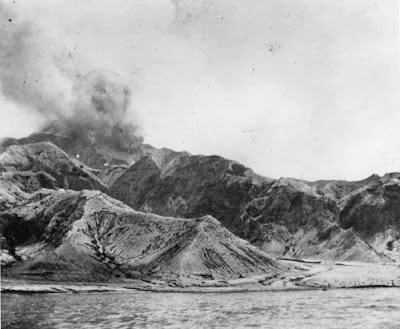 The volcanic island of Krakatoa, located between Java and Sumatra, experienced its most violent eruption in 1883. With a VEI of 6, its nuclear yield was around 13,000 times greater than the bomb dropped on Hiroshima. In its wake, some 165 villages and towns were devastated, and more than 36,000 people killed – many, from the resulting tsunamis. The ash ejected from the volcano tinted the skies of Europe and America red, and is thought to have inspired Edvard Munch’s painting, The Scream. Pictured is a lithograph of the explosion. The eruption in 1902 of Mount Pelee is dubbed the worst volcanic disaster of the 20th century. Situated on the northern tip of Martinique, its explosion all but wiped out the city of Saint-Pierre. Around 30,000 people were killed, with only two residents surviving the hot gas and rock that flowed through the city, making it one of the deadliest volcanoes on earth. 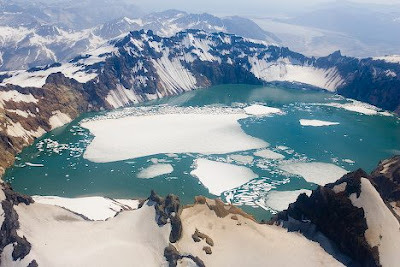 In 1912, the Novarupta Volcano in Katmai erupted for more than 60 hours, forming what is known as the Valley of Ten Thousand Smokes. The blast expelled 13 to 15 cubic kilometres of magma, resulting in the collapse of Mount Katmai, but the advent of a beautiful national park. Thanks to its remote location, no deaths were caused. In 1980, Mount St Helens erupted, producing a 12-mile high column of ash in less than 10 minutes. The ash was deposited in 11 US states; 57 people and thousands of animals were killed; hundreds of square miles were reduced to wasteland; and over a billion dollars of damage was caused. The eruption of Mount Pinatubo in 1991 was the 20th century’s second most powerful volcanic explosion after Katmai, though its effects were more devastating. The colossal explosion sent around 10 cubic kilometres of debris into the air, a hazard that was exacerbated by the simultaneous arrival of a tropical storm. Around 800 people were killed, many as their homes collapsed under the weight of raining wet ash. 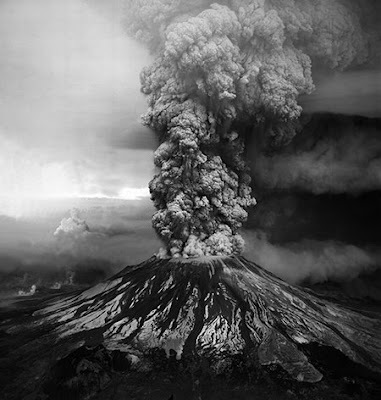 However, the eruption had been predicted in the days preceding it, and thousands of lives were saved by an evacuation effort. This year eruptions at Eyjafjallajökull in Iceland caused unprecedented disruption to flights across the UK and Europe. 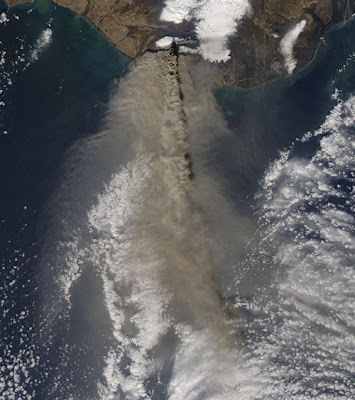 A series of eruptions began March 20, 2010, but it was the dense plume of ash emitted from an eruption that began April 14 that caused the almost complete closure of European airspace. The plume rose to about 9 kilometres in the air, which made for some dramatic skies as the dust particles scattered light from the setting sun. Um, this list sure leaves out a lot of massive eruptions between number 1 and number 2. Look up the Long Valley Caldera for one eruption that was far greater than #2-10 combined.